Today the economics of cyber attacks favor the adversary. With the explosion of access to automated and highly effective attack techniques, now everyone has the ability to become an “advanced attacker,” a status once reserved for the most sophisticated advanced persistent actors. With this evolution, the cost of launching successful attacks has plummeted, putting more pressure on Cybersecurity professionals to manually defend against an increasing volume and sophistication of attacks. 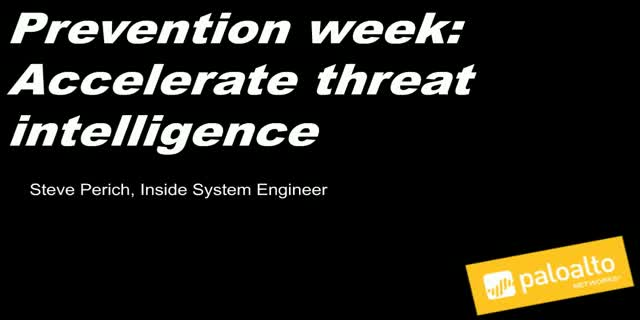 Organizations require new ways to “weaponize” the threat intelligence they have to prevent attacks before they can cause damage, without adding additional security resources. •How to know your network better than an adversary. •The value of delivering real-time prevention for targeted attacks. •How to architect your defenses for prevention to save time and resources traditionally spent on remediation.